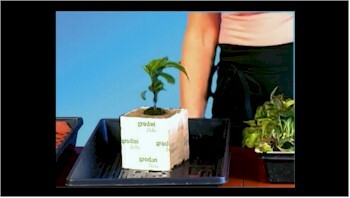 4 x 4 x 3 inch Growing Blocks with holes for smaller cubes. Used as a second stage from smaller cubes. 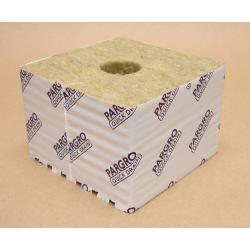 The 1-1/2 inch round hole will accept the small cubes that come in a sheet or the wrapped cubes that come in a strip. 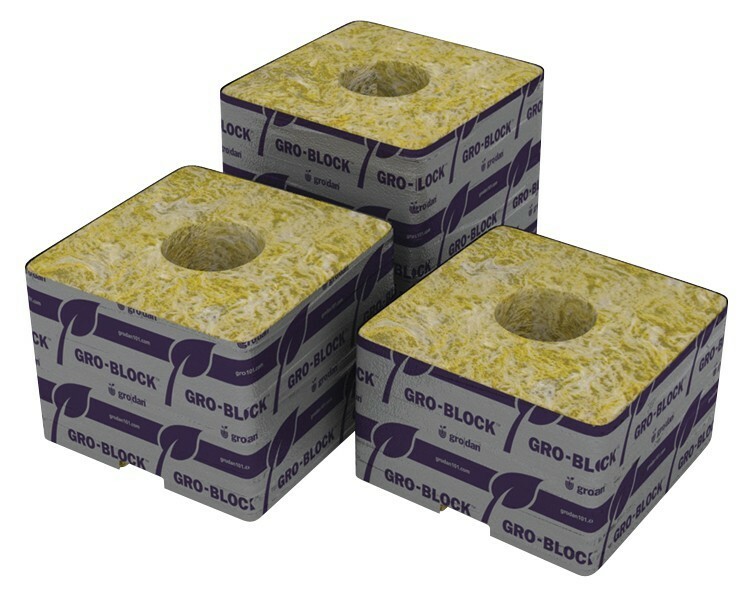 Growing blocks are great for ebb and flow hydroponic systems or for use as mid stage for plants eventually going on to Rockwool slabs. 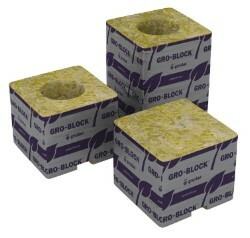 The blocks are individually wrapped in plastic on four sides to hold moisture and stop alga growth. 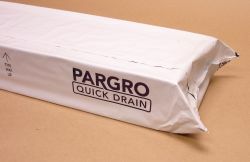 The base of each block is grooved for drainage. Blocks are supplied in 24 inch long tear away strips with 6 cubes per strip. Case of 180.